Unique on east coast- First ever Bollywood class for Seniors starts! First ever class for Senior Citizens in Bollywood in the East Coast started summer 2013 through City of Raleigh Parks & Recreations! 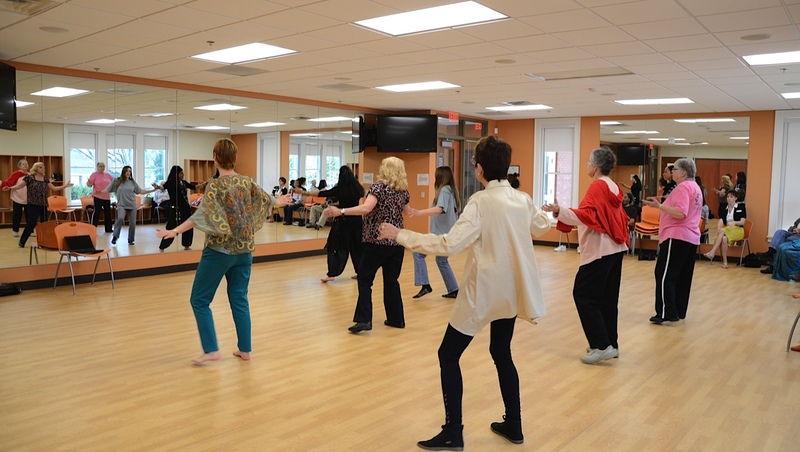 Facilitated by Five Points Center for Active Adults, this class broke all stereotypes associated with Bollywood dance on the country’s East coast! Typically, in the RTP, a concept that had never before been attempted, Indigo with the support of City of Raleigh, made us realize that dance needn’t be designed for just those able of strength but also those young at heart for whom the passion to learn new things never stops! Our brave ladies gave their first ever performance after just 6 lessons under their belt.